Some more tools and goodies for your robot workshop! Don’t let you robot die in the middle of battle. 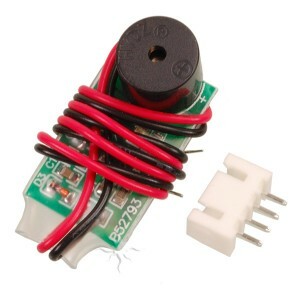 This is a simple to use 3S LiPo Battery Alarm. It utilizes multi-color LEDs and an audio alarm to give visual and auditory feedback on the current voltage level of your LiPO battery pack. 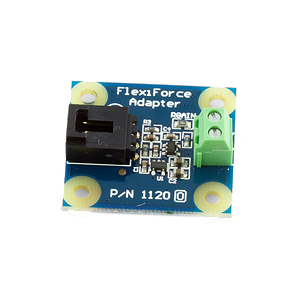 The Phidgets 1120 FlexiForce Adapter makes it easy to turn a Tekscan FlexiForce Force Sensor into an analog sensor. Phidgets even supply a round plastic disc of the right size for the sensing pad. Aren’t they nice?! 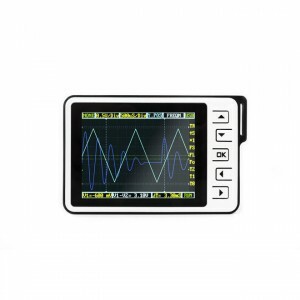 An Oscilloscope that fits into you pocket?!?!?! What is this? The future? Yes. Yes it is. Don’t you hate it when your friends come over drunk and try to lick your Arduino projects? Us to. What is up with that? Here is an Arduino Project Box to protect your Arduino projects! 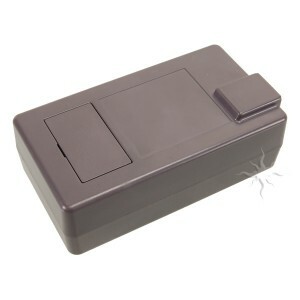 This entry was posted on Thursday, August 11th, 2011 at 1:52 pm	and is filed under Front Page News, New Kits / Products. You can follow any responses to this entry through the RSS 2.0 feed. You can leave a response, or trackback from your own site. Just an observation… Your product details page for the oscilloscope say it has an analog bandwidth of 1MHz whereas the manual (that you link to) says it has an analog bandwidth of 0-200KHz. Hey Phil, thanks for the note. I’ll have Andrew check it out. Probably a change between the versions or something that got over looked. We appreciate the note!